I hope you aren't really getting that kind of criticism! 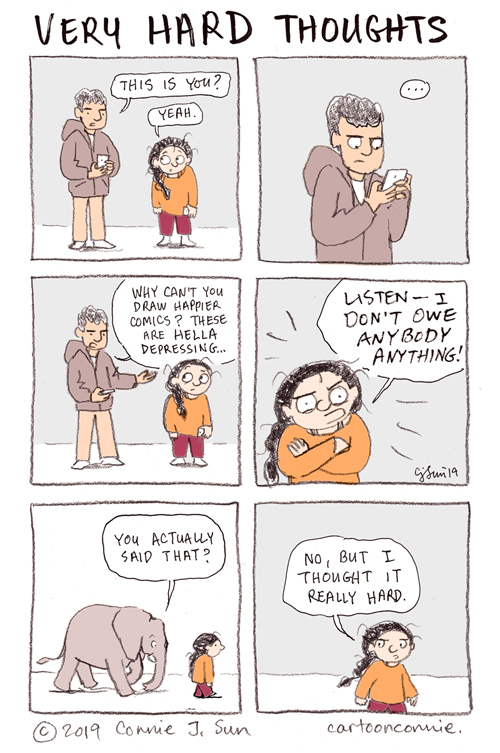 Your comics are very honest, and many can relate to their messages. Keep doing YOU! "Look, bucko, nobody's twisting your arm to make you read it. You want chirpy? Go read Family Circus."